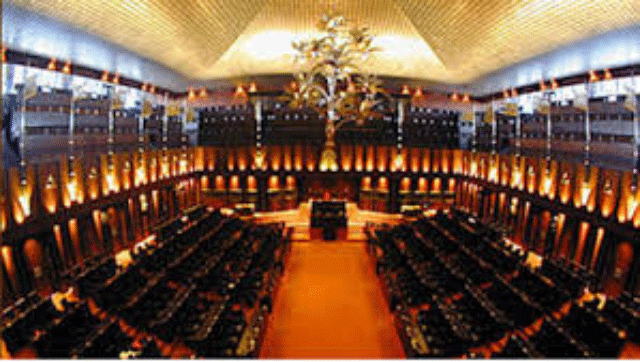 The special audit reports on the Central Expressway and SriLankan Airlines will be presented to Parliament this month, Auditor General Gamini Wijesinghe said. Speaking to the Daily News, the AG said today that his Department is currently working on these audit reports as per the instructions of the Committee on Public Enterprises (COPE). The two reports will be handed over to the Speaker and the COPE Secretariat. The report on the Central Expressway deals with the procurement procedure followed with regard to the construction of section three of the Central Expressway and the report on the SriwLankan Airlines deals with the order made to purchase 8 long distance airbuses and its cancellation. “Both these are serious and complicated issues. Our teams are now collecting the necessary documents pertaining to the audit,” he said. Commenting on the order of eight A350 airbuses to the SriLankan Airlines, the AG termed it as “an insane decision” that resulted in heavy financial burden to the country. “The SriLankan Airlines ordered those eight aircrafts at once despite the fact that it was already incurring massive loss. It was done without knowing any means to repay and without knowing any route to operate them. Certainly it was not done thinking of the future market,” he said. The AG pointed out that he would not term the additional cost the Government had to bear in cancelling the aircraft deal as a “loss”. “Had the Government proceeded on the deal the total cost the Government has to bear would have been enormous. We will indicate that figure in the report. The compensation payment was to avoid that plight. Already Rs 16 billion has been paid as compensation to cancel four airbuses and the last payment in that regard is still to be made. The amount of compensation for the rest of aircrafts is yet to be negotiated,” he explained. The AG, further observing that the SriLankan Airlines came under the scrutiny of the AG’s Department very recently, said the Department audited it for the first time last year. The AG also said a ‘performance audit’ on the SriLankan Airlines is being conducted now, adding that the payments made to its management would come under scrutiny during the audit. “We understand that there are certain issues over the payments made to its top management. The details of them will come out when we present our 2016 audit report with regard to the SriLankan Airlines,” he stated.